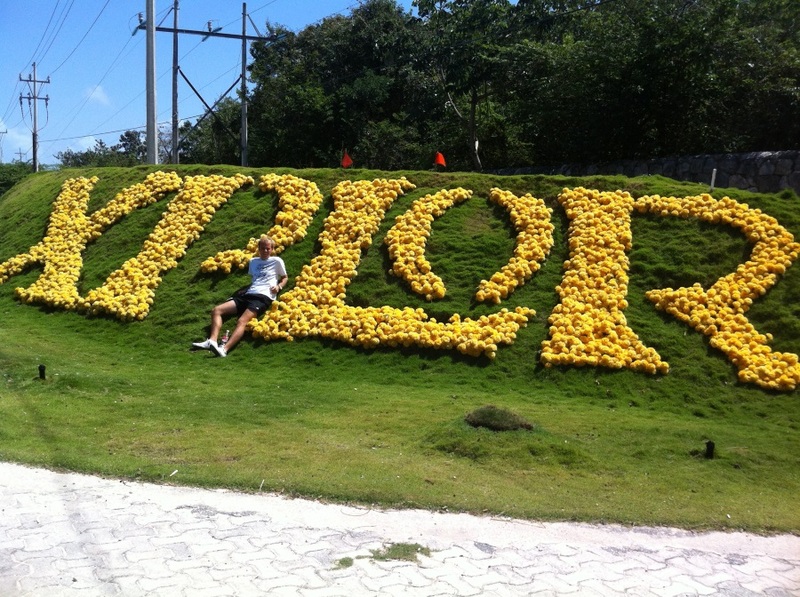 A natural adventure park for those people with an adventurous spirit, located in the Riviera Maya only 5 minutes from the heart of Playa del Carmen and 45 minutes from Cancun. Discover new sensations by flying over treetops in one of the 14 zip lines or driving an amphibious vehicle, swim in the underground river surrounded by stalactites and stalagmites and take an exciting raft ride paddling with your hands. 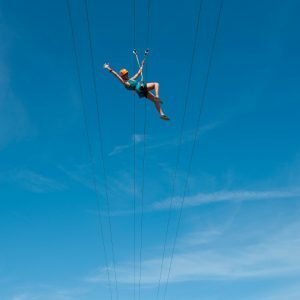 Fourteen zip-lines with 3.8 km of trails where you will glide through the air and traverse suspended bridges and a water slide with the latest equipment on the market and a well-trained staff to ensure your safety. The highest zip-line is 45 meters above the ground and the lowest descent is 8 meters underground. 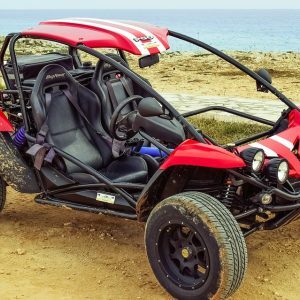 Amphibious vehicles over two circuits through jungle trails, crossing suspended bridges and driving under the surface into mysterious caverns and caves. 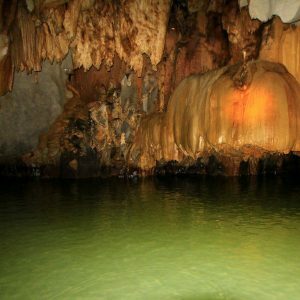 This incomparable adventure where the water level varies as you enter the cave making it even more exciting as you go along. The amphibious vehicle is equipped to advance without affecting the operation of the engine. 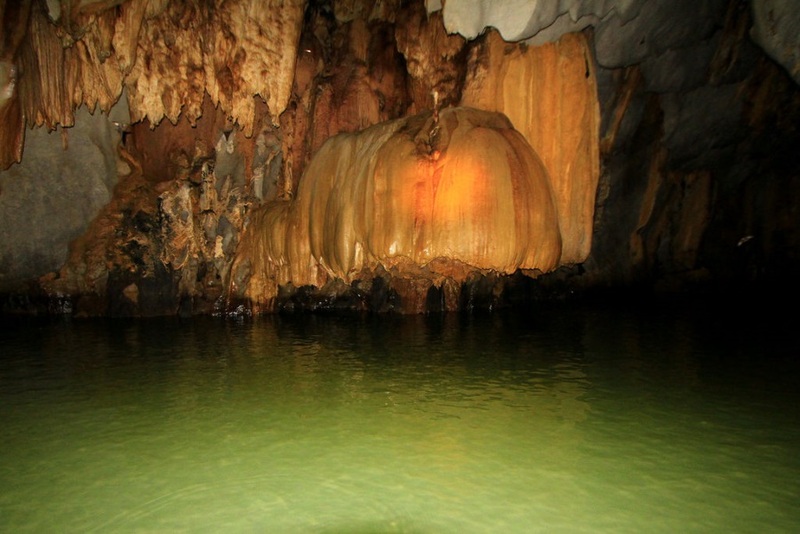 The underground rafts consist in two circuits along underground rivers within caverns and caves of unspeakable wonder surrounded by stalactites and stalagmites; take an exciting raft ride paddling with your hands while wondering at the rock formation process created by nature millions of years ago. Get all your energy back enjoying a delicious buffet accompanied with a fresh fruit juice and fruit smoothies. In addition, a cup of hot chocolate will be waiting for you at the exit of the underground rivers. The park facilities include changing rooms, personal lockers, restaurant with international buffet and delicious desserts, chairs and hammocks area, snack and soda fountain, souvenir store, First Aid service, parking area, ATM’s and public telephones. 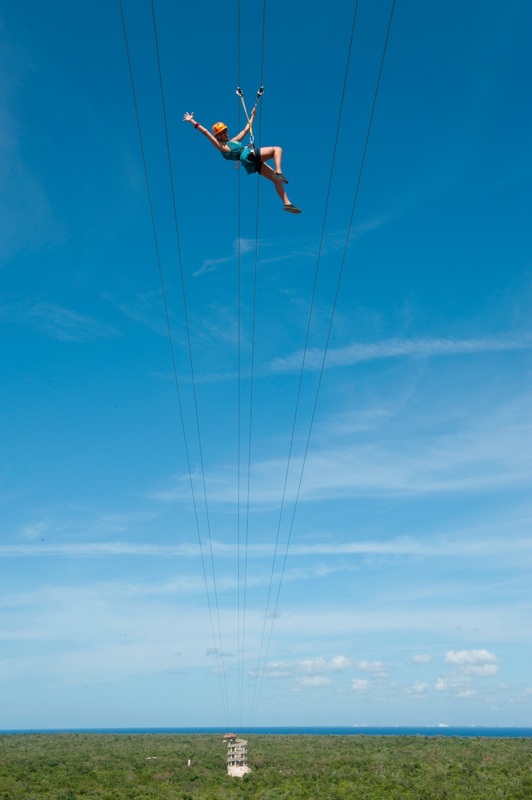 Only people weighing less than 299 pounds can slide down the zip lines. To drive the amphibian vehicles you must have a valid driver’s license. The park’s activities are restricted for pregnant women, people with heart problems, diabetes, epilepsy, asthma, hypertension and claustrophobia. Don’t forget to bring sunscreen, bathing suit, a towel, a change of clothes, a camera, shoes with shoelaces and comfortable clothes. 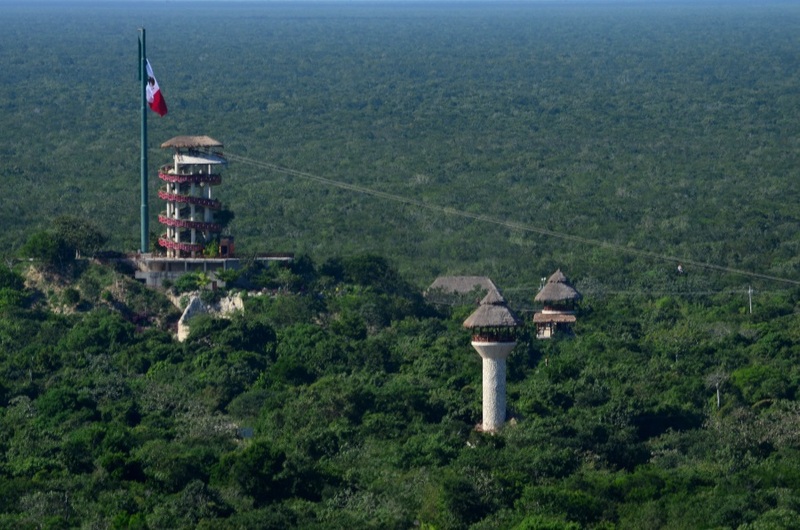 Fly over the jungle thanks to the zip-lines and discover the incredible view of the Mexican Caribbean. Fuel your adrenaline and let yourself go on a zip-line ride at 30 km/hr. 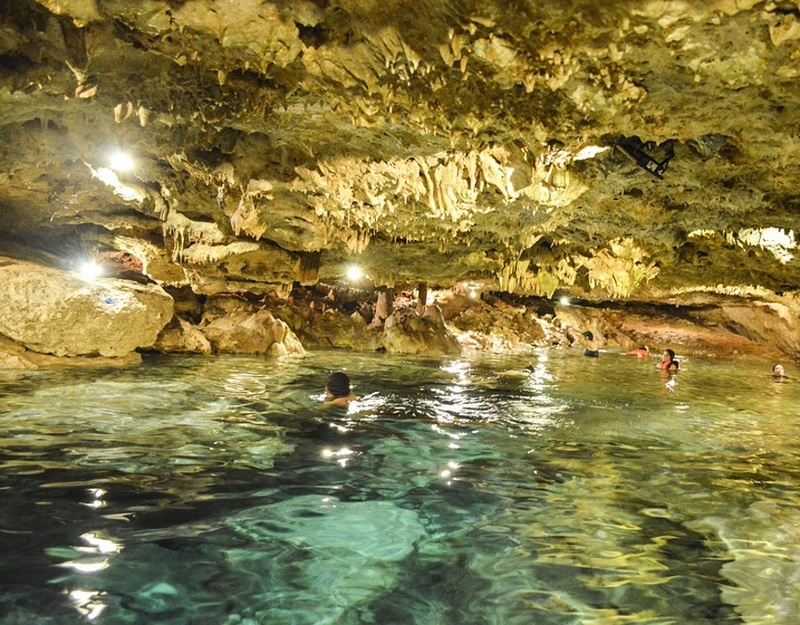 and refresh yourself inside the Mayan cenotes. 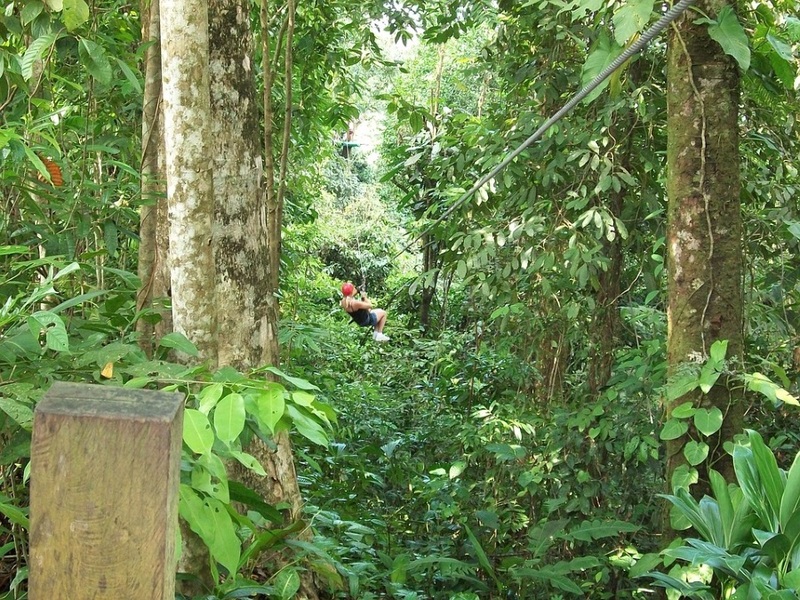 The highest zip-line is 45 meters above the ground and the lowest descent is 8 meters underground. 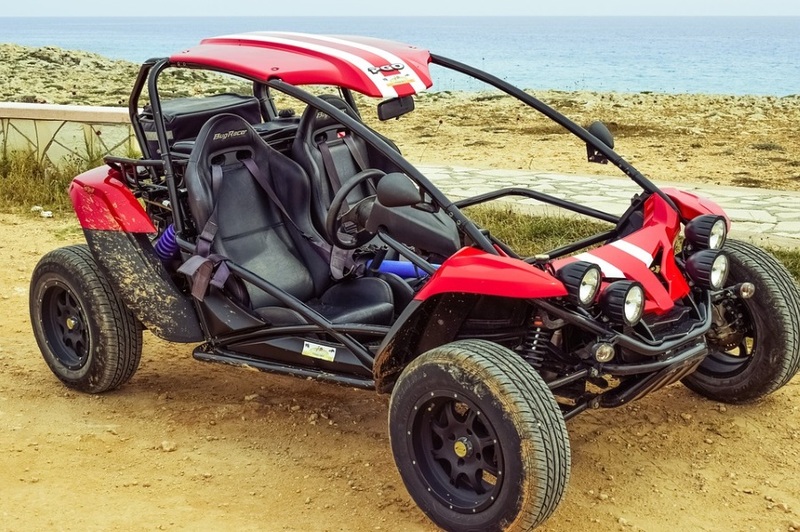 Aboard to the amphibious vehicles you will go over two circuits through jungle trails, crossing suspended bridges and driving under the surface into mysterious caverns and caves. This is an incomparable adventure where the water level varies as you enter the cave making it even more exciting as you go along. 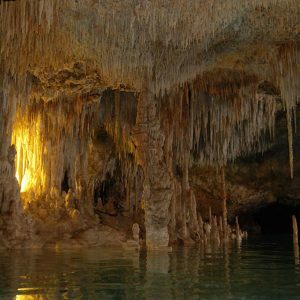 An adventure whereby paddling with your own hands on a raft you will travel two circuits along underground rivers within caverns and caves of unspeakable wonder. 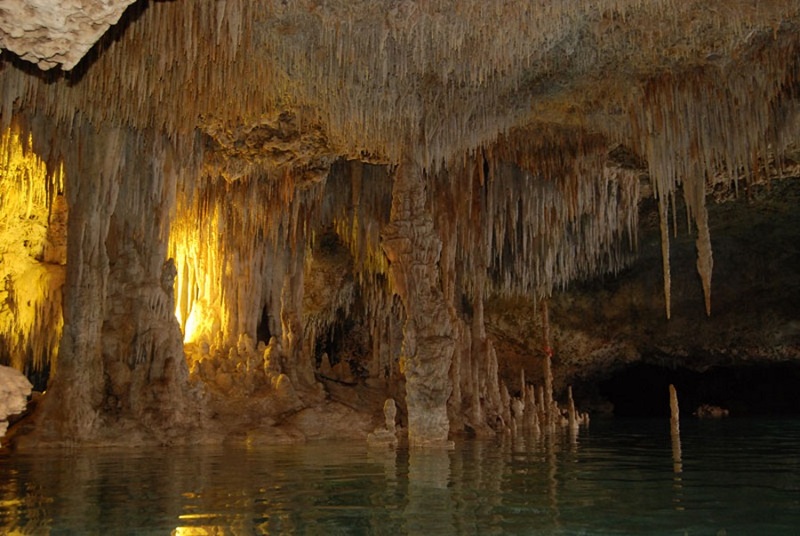 Admire the extraordinary rock formations surrounding you while glancing at the stalactites and stalagmites, whose existence has taken millions of years to reach their current state. 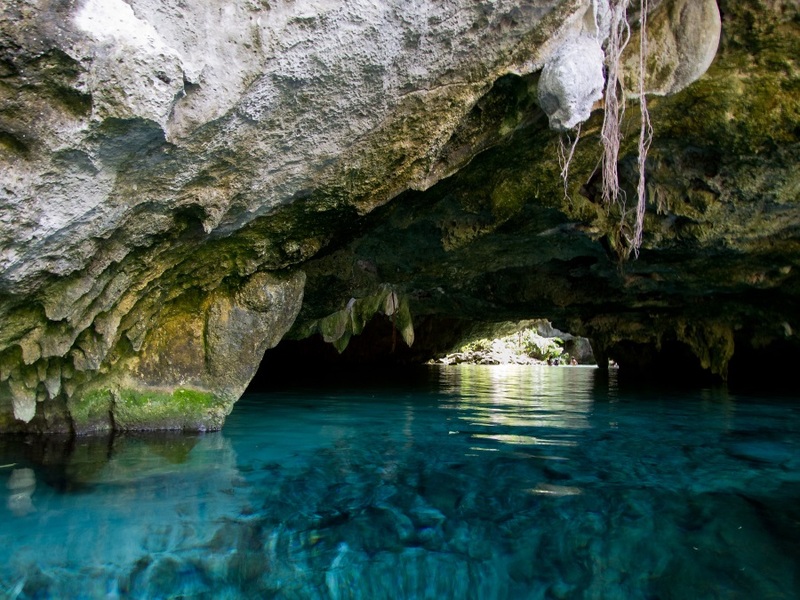 Discover wonder as you go along these ancient underground paths created by water. Live the intense emotion of uncovering the process behind these rock formations that were shaped, drop by drop, under nature’s watchful eye. You will find lights that guide you through your journey.